Photo courtesy of Heather Perry. This past season I started paying attention to the DJs of the runway. As I watched their pre-show set-ups and rehearsals, I soon realized how much pressure is on them. The music must sync up with the flow of the show, and no room for error! These DJs have to get it right or they could ruin the vibe of the presentation along with their reputation. Below are a few of the DJs that took the stage during fashion week and provided the models with a little something-something to strut or strike a pose to. With many Fashion Week shows under his belt, and names like Valentino and Karl Lagerfeld on his resume, Ben Brunnemer is a runway DJ pro! A year ago, I attended the A Detacher show and was instantly mesmerized by the electronic experimental-esque type music. When the show ended, my mission was to find out who the music was by. I approached Ben, and much to my surprise I found out that he makes the music himself. I was lucky enough to catch the A Detacher show this season and hear Ben’s skills, and yet again he left me floating on a magical musical cloud. His playlists for each show are posted on his website, and must be checked out. Photo courtesy of Ben Brunnemer. 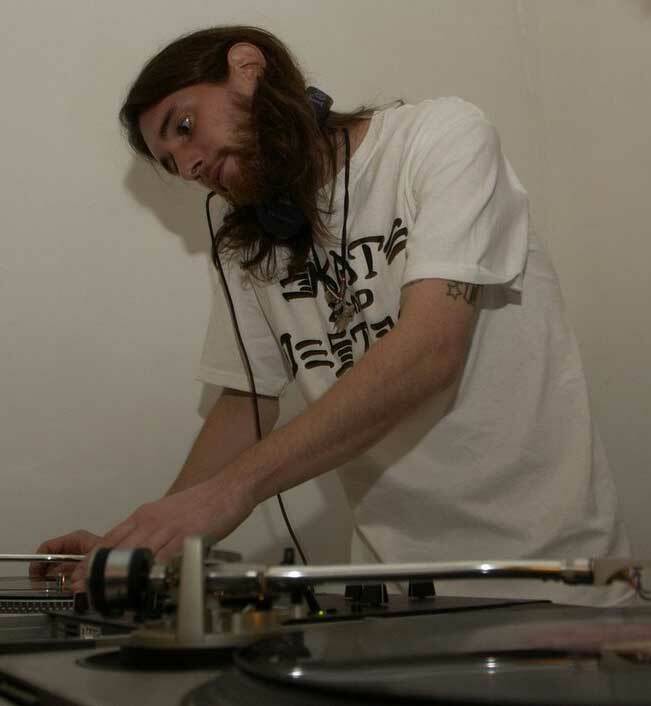 DJ Mick Boogie spins music for the best of them! 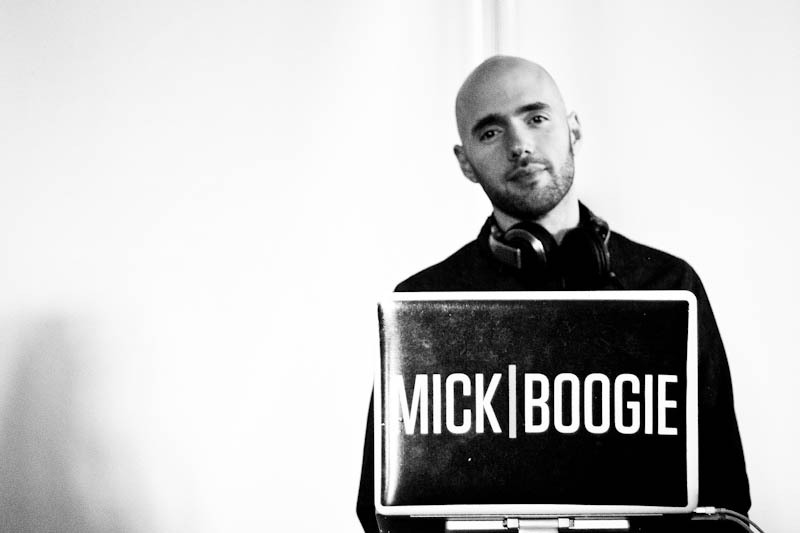 From New York to Hong Kong and everywhere in between, Mick Boogie covers some serious DJ ground. Being the in-demand DJ that he is, it was no surprise that I caught him spinning a set during Fashion Week. The Leila Shams show was chock-full of flirty outfits, and Mick definitely put some pep in the models’ steps. His set consisted of current pop tunes that definitely had the heads of audience members nodding and the models prancing. Jessica White ended this show with a walk that proved she was definitely feeling the beats! DJ Mick Boogie. Photo courtesy of Heather Perry. I always love seeing DJs that still–spin–vinyl! 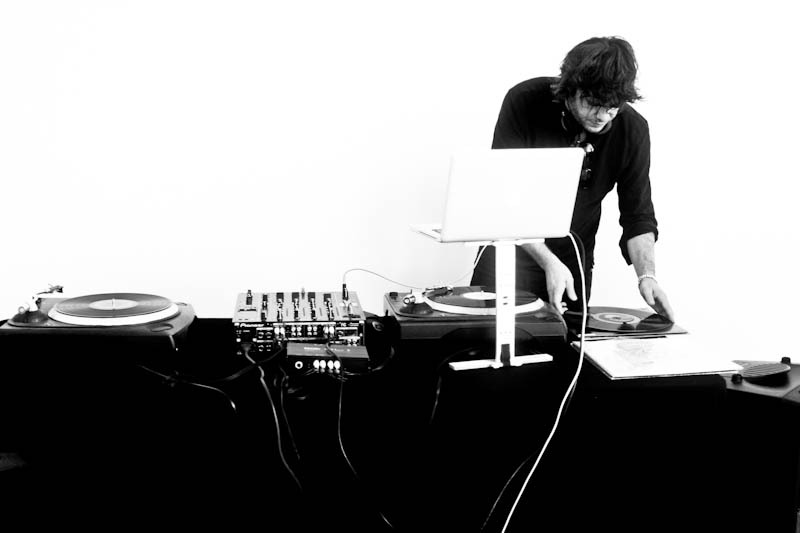 At the Tocca Spring 2013 presentation, artist-and-DJ Jimmy Raskin kept it classic and brought his vinyl game. Jimmy definitely created a particular vibe with the 70s classics that he spun. He dug through the crates as the models posed for us inside kaleidoscope styled mirrored displays. Tocca DJ. Photo courtesy of Heather Perry. The music selection differs from runway to runway, and covers a wide range from hip-hop to classical. Regardless of the genre, the music makes a huge impact on the show. Just like the style trends that are promoted during Fashion Week, musical trends and number one hits are premiered on the runway as well. I walked away this season with new wardrobe ideas along with new songs to add to my playlists!